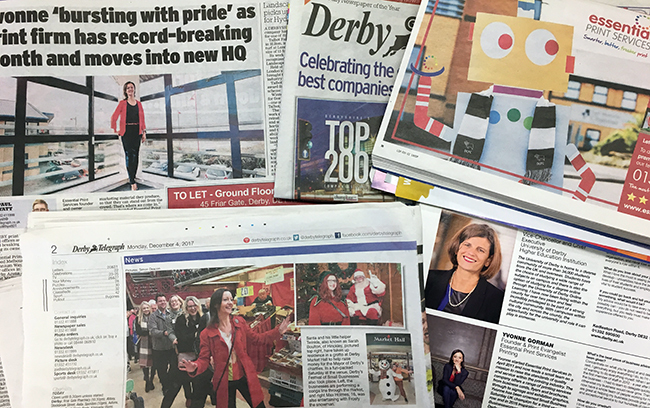 Derby Print Firm bursts with pride over company expansion & record sales. Pride Park based, Essential Print Services, is bursting with pride over its recent office move and a record-breaking month of sales. The new move will not only allow its workforce to double in size, which cannot have happened at a better time since they are also celebrating one of their best sales months ever. The company is staying on Pride Park, in Derby, but transferring from Melbourne Court to Victoria Way, near to Derby’s iconic Arena. Since 2011, this vibrant printing company has been helping clients get their message across in print – whether that’s brochures, banners, posters, flyers, postcards, calendars, business cards or a host of other high-quality products. Yvonne has shown over the last six years, that there is no substitute for passion, hard work, great products and a will to succeed. Yvonne adds “I’m excited about Derby’s future. Pride Park especially – it is acquiring new companies all the time, which in turn is creating more employment within the city. 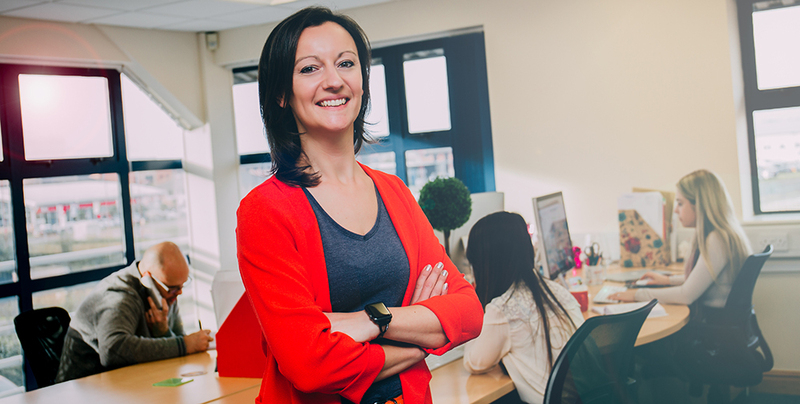 My employees and I want to be able to utilise the amazing facilities such as Derby Arena and Pride Park Stadium that is right on our doorstep”. 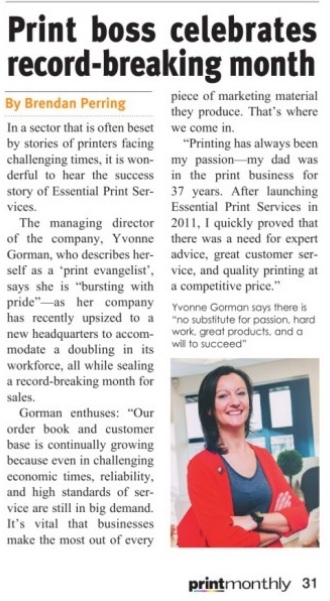 Featured in Print Monthly magazine.